Every year since 2011, Reedley High has been the league champion in golf, except for the heart break in 2014 when Hoover claimed the title. Other schools in the North Yosemite League include Sunnyside, McClain, Fresno, and Roosevelt High. This year the pressure is on as the Pirates look to defend their title. 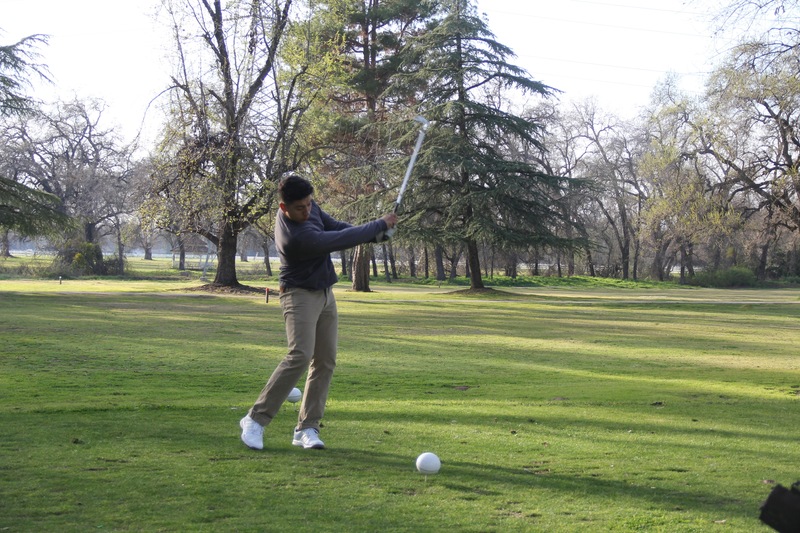 But practicing out at Sherwood Forest in Sanger every week involves more than just physically adjusting your swing. Golf, unlike any other sport, is ninety percent mental. Coach Hanson explains, “Golf is almost purely mental. You’re constantly adjusting your swing, and you gotta remember everything you’ve tweaked. Also, if you linger on one bad hit, you can kiss your game good-bye because it’ll mess you up. Even a bad day can ruin or game. Golf is weird like that, one day you’re hitting like a pro, and the next you’re hitting like you’ve never seen a golf club in your life.” A lot of hard work and frustration is put in by the team, but it’s well worth it for a variety of reasons. One being it’s addicting. In just a few weeks, the Pirates will play their last tournament to defend their championship. All the Pirates back on the ship will be cheering them on as they shake hands, tee up, and set off down the fairway.